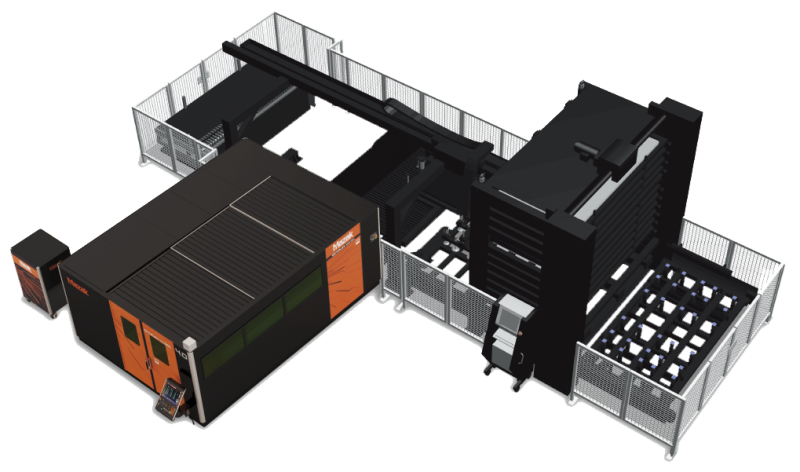 Mazak’s EXTENSIBLE MANUFACTURING CELL (EMC) is an FMS system that utilizes a modular or building block approach that enables future growth. 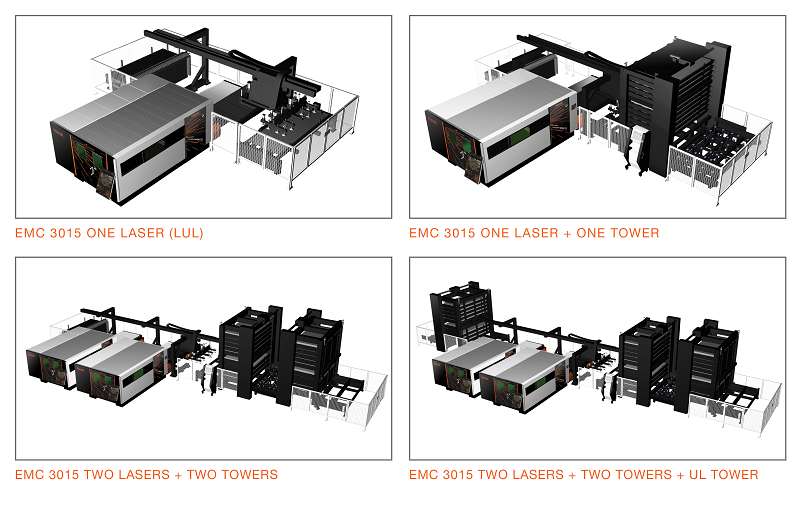 Mazak’s EMC series enables you to modify your configuration as your needs change, including the number of machines within the cell. Standard configurations can expand to a total of four machines. A larger number of machines can be integrated into an AUTOMATED STORAGE/RETRIEVAL system. The rugged design and construction of EMC systems deliver high material storage/transfer capacities and a long production life. They are available in a variety of 2412, 3015 and 4020 configurations.